Committee members are unpaid volunteers who provide their support to SCC because of their dedication to canoeing and love for the sport. I have lived in Barton on Sea for 20 plus years. 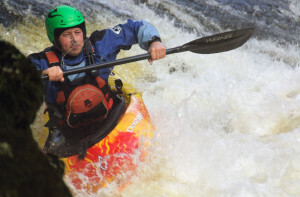 Keen worldwide White Water Kayaker who also dabbles in Sea Kayaking and Surfing. Probably the longest running SCC current member (since 1996). Level 3 White Water coach and White Water 5* paddler. Married to Janet who is a non-paddler. The chairman is responsible for the overall running of the club. 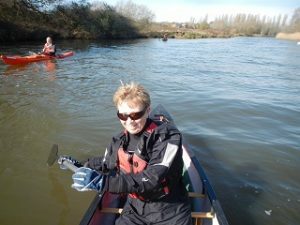 Since starting paddling around 2008 with SCC I have been encouraged to improve my personal paddling skills and have achieved my 3 star awards in white water and open canoe touring. As a result of being asked if I was interested in coaching, I followed the path to becoming a level 1 coach, which I did with support from the club. Coaching has been a rewarding experience and I find that there is always something new to learn. I have benefited from, and developed as a member of SCC and believe that we should all give something back and contribute – this is why you will find me, not unlike others at SCC, with more than one role. Seeing people learning new skills, enjoying their time on the water and making friendships is a reward in itself and I hope to see many more people join the club and benefit from this varied sport. 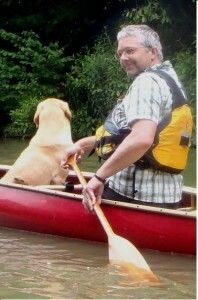 I started kayaking around 4 or 5 years ago when I joined the club to learn to paddle in a safe environment. I prefer the more sedate paddling on flat water and enjoy being out in the fresh air. I joined the club in 2011 when I was new in Bournemouth. It has been great to learn a new sport and enjoy weekly paddles with a group of friends. I’m one of those more attracted by relaxing flat water paddling, but have found being out on the sea is quite exciting! As treasurer I operate the club account, chase people for money and report on the club finances at the AGM. I have been paddling for 10 years and own more boats than I have garden space to dump them. I enjoy lots of white water, quite a lot of surf and a little sea kayaking. From time to time I attempts to do some coaching. I joined SCC about 20 years ago with my husband Peter. 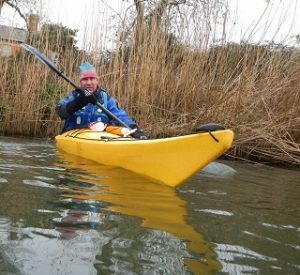 I was a newcomer to kayaking then but what an adventure it’s been! I wouldn’t have changed that for anything. I volunteered to join the Committee as Secretary around 2000 and held that post until last year. I spent a few years coaching for the club and also sea scouts, I am now happily continuing as Club Welfare Officer dealing with Child Protection & Vulnerable Adults duties. Things are still getting better – it’s great to see our family membership increase as our grandchildren become old enough to join the club! The role of the Social secretary is to organise social events for the club. I spend a lot of time in Dartmoor over the winter as I love the thrill of white water kayaking, pushing my limits and driving my skills forward. During the summer I take advantage of what our local coast has to offer, happily soaking up the sun in my sea kayak. We have a number of people within SCC, many of whom are former committee members, that devote their time and experience to making the SCC a better club. I started kayaking at the age of 14 and was made Christchurch Ambassador for Kayaking at the age of 16. I am a 3 star whitewater, sea and open canoe paddler, and I also obtained my Level 1 coaching qualification at 17. That’s the boring bits over with ….. I love White Water, the thrill it gives you and the adrenaline rush you get as you navigate through the fast moving water is unbelievable, so I take every opportunity I can to paddle the WW rivers of the UK in between studying for my Accountancy Qualifications. I also have a passion for freestyle. I was previously a volunteer coach at New Milton Leisure Centre where I specifically taught freestyle – sadly no longer available but I still coach freestyle at the SCC Pool Sessions whenever I can. It’s surprising how quickly a paddler can master how to hand roll, even if they’ve just learnt to roll! However front looping takes months of dedicated practice, but believe me it is so worthwhile when you finally achieve your first loop. Life is like a river, go with the flow! I have been a dinghy sailor all my life but started kayaking about 5 years ago with a group of friends. After we undertook some overly exciting sea paddles I decided that some formal training would be a good idea, so after looking round at the different options, myself and my son joined SCC to do our 2*. We enjoyed what the club had to offer so kept coming back. Thanks to the Club I now hold 3* whitewater and Sea. whitewater is our thing… I.T. isn’t !